Annually more than a billion smartphones are sold across the world, and because the competition is so fierce, phones at the cheaper end of the scale are getting better. Much better. There’s no longer any need to buy the most expensive phone just to get the best, and latest features. In our guide to the best cheap phones you can buy, we highlight the ultimate phones that don’t have an outrageous price tag. If you have a little more money to spend, head over to our best smartphones guide to see our top picks. Why should you buy this: The OnePlus 5T looks the part with its minimal bezels and large screen, has the fastest processor out there, and a capable dual-lens camera — all at a fraction of the cost of a Galaxy S8 or iPhone 8 Plus. While the $500 standard price tag means this is the most expensive OnePlus smartphone to date, you’ll be hard pressed to find a more powerful phone for a comparable price. 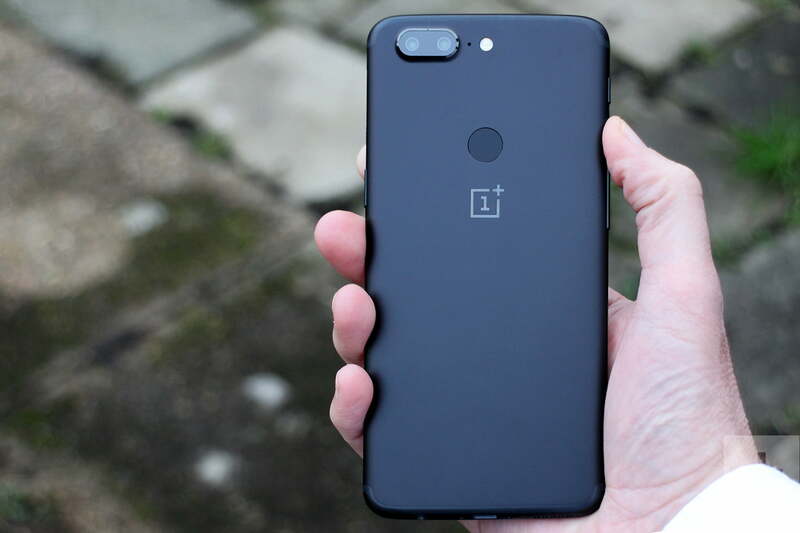 The OnePlus 5T’s design is right up-to-date with super slim bezels around the 6-inch screen, despite the body being no larger than the 5.5-inch OnePlus 5 it replaces. This design change has forced another: The fingerprint sensor is now on the back, making it more comfortable to use, and it joins a slightly different dual-lens camera. Less inspired by Apple’s iPhone 8 Plus this time around, the 5T has a standard lens instead of a telephoto lens, producing bokeh shots without cropping, and improving low-light performance. The front camera doesn’t just take selfies, it powers the OnePlus 5T’s Face Unlock system, which is very fast and really convenient; but it’s not a substitute for the security provided by the fingerprint sensor. Want the fastest Qualcomm processor to power your smartphone? The OnePlus 5T has you covered with a Snapdragon 835. It’s the same chip powering the Samsung Galaxy S8, HTC U11, and the Google Pixel 2 — phones that cost more than $650 a pop — and it even offers more RAM. You get a choice of either 6GB of RAM and 64GB of internal storage, or 8GB of RAM and 128GB of storage, though 8GB of RAM is rather excessive. It’s worth paying the extra for more internal memory, as the OnePlus 5T doesn’t have a MicroSD card slot. Want a modern design and don’t mind paying a little extra? The Essential Phone may be the best choice for you. Featuring a beautiful edge-to-edge display and top-tier specs like the Qualcomm Snapdragon 835, the Essential Phone comes in at $500, which is a pretty great price for a phone made of ceramic and titanium. You can get the device for yourself from Sprint or from the Essential website, where it’s unlocked and will work with any major carrier in the U.S. The 6.01-inch Full Optic AMOLED screen has a 2,160 x 1,080-pixel resolution, which looks glorious, and will impress most people. You also get Bluetooth 5, which offers faster connectivity and range, AptX HD Bluetooth for the best wireless audio performance, and OnePlus’ proprietary fast-charging technology, Dash Charge. The latter provides you with a full day of battery life in just 30 minutes. Speaking of the battery, the OnePlus 5 has a 3,300mAh capacity and can be charged via a USB Type-C port. And yes, you can charge and listen to music at the same time, because there’s a headphone jack on the bottom of the phone. One of the OnePlus 5T’s biggest draws is its smooth and accessible user experience. The OxygenOS operating system is based on Android 7.1.1, and the user interface doesn’t stray far from the stock Android experience on a Google Pixel phone. OnePlus adds in several handy additional features, including a reading mode, clever adaptive contrast for viewing the screen outdoors, a slide-in shortcut and information page called Shelf, and gestures such as a double-tap to wake the screen. The OnePlus 5 is only available on GSM networks, meaning you can use it on ATT and T-Mobile, but it won’t work with a Sprint or Verizon connection. Other downsides include the phone’s lack of water resistance and its slippery exterior. For $500, you’re getting equal, if not better performance, than the Galaxy S8 — without the gimmicks. It’s astonishingly good value, and a phone you won’t regret buying regardless of your budget. Why should you buy this: It’s the best 4-inch smartphone ever made with many of the same specs as the iPhone 6S and a strong camera. This is the obvious choice for bargain-seeking Apple fans who have their hearts set on an iPhone. It takes most of the features of the iPhone 6S and packs them into the body of an iPhone 5S. If you feel like modern smartphones are getting too big, then the iPhone SE will suit you perfectly. It has the same A9 processor as the 6S, backed by 2GB of RAM. On paper that doesn’t sound impressive, but in terms of real world performance, it’s lightning fast and beats many more expensive phones. There’s a great 12-megapixel main camera that takes sharp, crisp, natural-looking photos, and has support for Live Photos. You also get Touch ID, Siri, and NFC for Apple Pay. Want an iPhone but think something a little more powerful may be a better choice? With the launch of the iPhone 8 and iPhone X, Apple has updated the pricing of its older phones. Now, you can get the iPhone 6S from Apple for $450, or the iPhone 6S Plus for $550. If you really want to stretch your budget, the iPhone 7 costs $550, while the iPhone 7 Plus comes in at $670. The 4-inch screen matches the 6S for pixel density, so it’s sharp and clear. The iOS platform is very easy to use and you get access to an excellent library of slick apps and games. The battery is only rated at 1,642mAh, but since it’s powering a smaller display, it results in above average stamina. Apple has also upped the base storage model from 16GB to 32GB. Inevitably, there are some disappointments here. The front-facing camera is just 1.2-megapixels, so this is not the phone for selfie fans. There’s also no 3D Touch. Despite the compromises, this is the most reasonably priced iPhone you can buy right now. 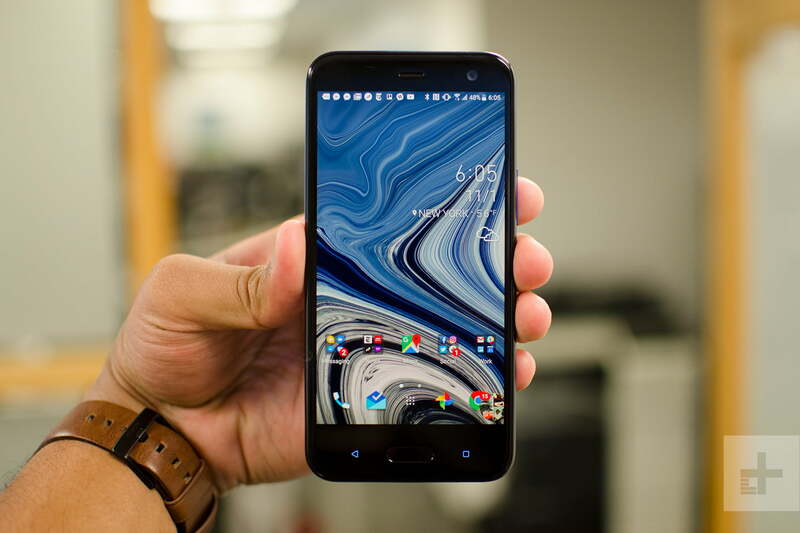 Why should you buy this: The HTC U11 Life offers a great design and decent performance, along with modern features like Bluetooth 5.0 and even water-resistance. HTC may have had a rough few years, but it’s back with a vengeance with the HTC U11 series — including the U11, U11 Plus, and U11 Life. The latter is one of the best looking phones for its $350 price tag, and it’s well rounded in almost every main category. The rear features the same sapphire gleam as the flagship U11, but instead of glass, HTC has gone with acrylic. It still looks great, and it stands out from a sea of budget phones. It’s IP67 water-resistant, like the U11, and it’s one of the cheapest phones to have this rating. Under the hood, the HTC U11 Life features a Qualcomm Snapdragon 630 chip, coupled with 3GB of RAM, assuming you’re going for the North American version of the device. 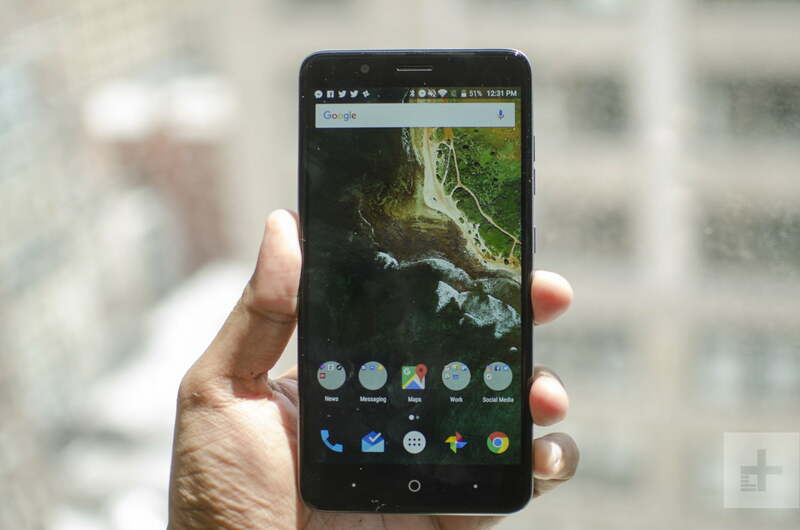 In our review, the phone performed relatively well, and it should handle most tasks with ease. You’ll get 32GB of storage in this phone, though it can be expanded with the MicroSD card slot. Looking for a phone with a slightly better camera and performance that’s pretty much on par with the HTC U11 Life? Or simply don’t want to go with T-Mobile or ATT? The all-glass Moto X4 is probably your best option, but it will cost you $50 more. On top of the slightly better camera, the phone also has a slightly better battery capacity, which comes in at 3,000mAh and will last you a full day of use. Apart from that, the phone has pretty much the same specs as the HTC U11 Life. On the front, you’ll find a 5.2-inch 1,920 x 1,080 pixel LCD display, which is about what you would expect from a phone in this price range. It looks crisp and colorful, though not as bright as a flagship smartphone. What’s neat is this phone is chock full of digital assistants to choose from. Not only will you get Google Assistant, but you’ll also have access to Amazon Alexa, and HTC’s Sense Companion. You can trigger Google Assistant or Alexa by squeezing the phone — a feature brought down from the U11. On the back, the rear-facing camera sits in at 16-megapixels with an f/2.0 aperture, and while it’s probably the weakest part of the phone, it’s still great for this price range. The front-facing camera is also 16-megapixels, though it’s rather standard. The battery comes in at 2,600mAh, which isn’t large, but it should get you through the day without any problems. The only downside? 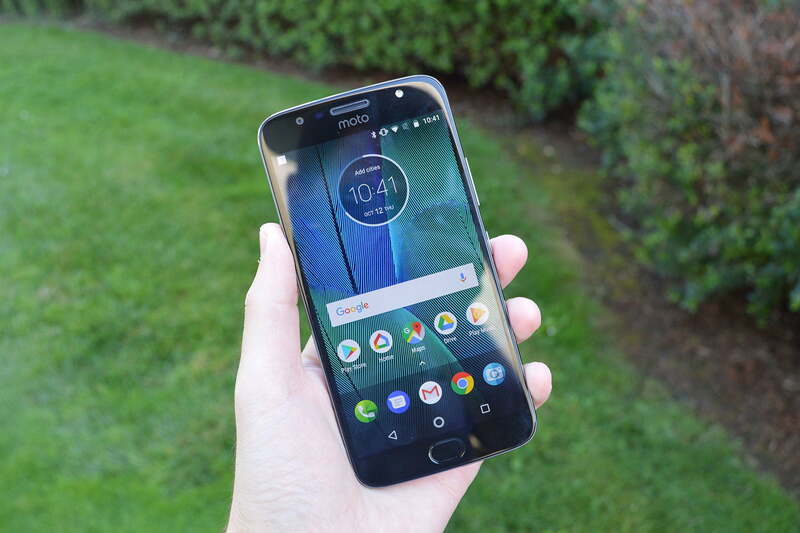 The phone only works on T-Mobile and ATT, so you may have to go for the Moto X4 as an alternative. Why should you buy this: The Moto G5S Plus is a great, cheap Android phone with solid specs and a decent display that won’t let you down. Despite Lenovo’s takeover of the Moto brand, the budget Moto G line is still a budget phone flag bearer. The new G5S Plus differentiates slightly from the Moto G5 Plus, mainly with an all-metal unibody. This does not feel like a budget phone. The G5S Plus boasts a 5.5-inch full HD (1920 x 1080 pixels) screen, a zippy Qualcomm Snapdragon 625 processor, and 4GB of RAM. The basic model has 32GB of storage, and there is a MicroSD card slot for expansion. It runs well enough to handle multitasking and light gaming well, though you may want to look elsewhere for anything more intensive. Like most budget phones, the camera is the weakest link, but the photos it takes are still satisfactory and can sometimes be great — if you’re in good lighting. It’s the first in the Moto G line with a dual-lens camera, both with 13 megapixels each. The front-facing camera packs 8 megapixels, and it’s fairly standard. A 3,000mAh battery provides enough power to see you through a full day, and there’s a fingerprint sensor with support for swipe gestures. One of the best things about the G5S Plus is the complete absence of bloatware. There’s no manufacturer “skin” or theme cluttering up the user interface. Motorola isn’t the most timely manufacturer when it comes to updates, which means it might be a while before the G5S Plus gets a major software upgrade like Android Oreo. U.S. G5S Plus models also lack support for NFC in the U.S. version, which is sure to disappoint if you’re keen to use your phone for contactless payments. Despite all that, the Moto G5S Plus is still a great all-rounder. Why should you buy this: The Honor 7X looks better than phones costing twice as much, and manages to match on performance too. Who’s it for: Anyone who wants to own a $200 phone that feels and works like it cost way more. When top-of-the-range phones can reach $1,000, paying $200 for one must mean it’s rubbish, right? Wrong, and in the case of the Honor 7X, very wrong indeed. Honor has impressed us with its low-cost phones before, but the 7X goes way beyond anything it has released at this price before. In fact, it undercuts the Honor 6X, the model it replaces. For your $200 you get a metal-bodied smartphone with an 18:9 aspect ratio screen, measuring 5.93-inches and with a 2,160 x 1,080 pixel resolution, giving you the very desirable large screen/compact body experience. That’s the same deal you’ll find on the LG V30, the Galaxy S8, and the OnePlus 5T. Phones that cost two or three times more. The $180 Moto E4 Plus is a well-rounded budget phone, with a 5.5-inch screen, Android Nougat, and a Snapdragon 427 chip with 2GB of RAM. Most importantly, you won’t find better battery life at any price —with a 5,000mAh battery, the E4 Plus can last well over two days on a single charge. Spending less on your phone doesn’t mean compromising on security, because the E4 Plus has a fingerprint sensor. Naturally, the Honor 7X isn’t a high performance gaming machine, but it holds its own with a Kirin 659 processor and 2GB of RAM, plus 32GB of internal memory. 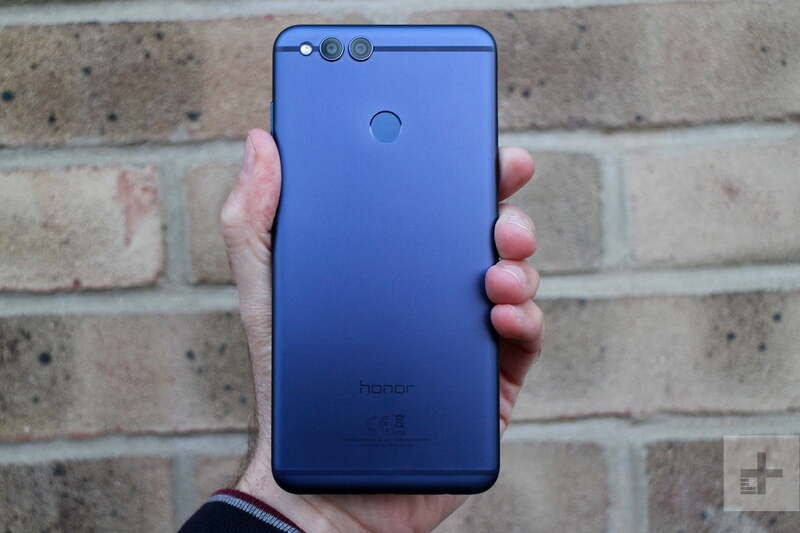 That’s the base model in the U.S., while in the U.K. the Honor 7X has 4GB of RAM and 64GB of storage memory, but costs a little more at 270 British pounds. You may expect a simple camera on the Honor 7X. No, it’s a dual-lens setup with a 16-megapixel main cam and 2-megapixel secondary lens, ready to shoot bokeh-style shots that look professional. Software tweaks have sped up performance and improved low-light photography over the Honor 6X, and it’s great for taking pictures to share online. The selfie camera even has cute face filters built right into it. We like the software too. It’s Android Nougat with Huawei’s EMUI 5.1 user interface over the top. Honor is a sub-brand of Huawei and share a lot of technology, which is good news for us, because EMUI is much improved over old versions. There are fewer customizations, it’s faster, and more logical. It’s not a faultless phone. There’s no NFC for Android Pay, the software is a bit old, and the 3,340mAh battery didn’t take us past two days with moderate use. But still, the Honor 7X is only $200 and an absolute bargain. Why should you buy this: The ZTE Blade Z Max may have a super low price tag, but it’s still a decently capable phone for those looking for something to do the basics. Who’s it for: Those that want a phone capable of texting, calling, web browsing, and running social media apps without paying more than $100. The ZTE Blade Z Max may have a low price tag, but it doesn’t look like such a cheap phone. It offers a grippy rubber-feeling exterior with a fingerprint sensor on the back — right below the dual-lens camera, which is tough to find on a phone this price. Under the hood, the phone is powered by Qualcomm’s Snapdragon 435, which may be a little weak for some users. But coupled with the 2GB of RAM, it can handle most day-to-day activities pretty well. It also features 32GB of storage, but there’s a MicroSD card slot for those that want more. Perhaps the best thing about this phone is the massive battery, which comes in at 4,080mAh and can last more than a day. On the back, you’ll find a 16-megapixel dual-sensor camera, while the front-facing cam sits in at 8-megapixels. Don’t expect anything remarkable out of the camera. The main downside here is that the phone is only available on MetroPCS, but there are different variations of it on other carriers. On Cricket Wireless, you have the ZTE Blade X, while on the Boost Mobile network you get the ZTE Blade Force. Last but not least is Verizon, which offers the ZTE Blade Vantage. The phones may have slightly different features, so you’ll want to take a look at the specs to make sure they have everything you need. If you’re content with the phone you have, then keep it, because the longer you wait, the better your choices will be. That being said, this is the best time to purchase a smartphone. Every manufacturer has released their phone of the year ahead of the holiday season, so you have plenty of options to choose from. Update: Swapped the OnePlus 5 for the new OnePlus 5T. Volite golišave fotke? Koristite ovu aplikaciju! Počela GOG zimska rasprodaja, Full Throttle Remastered besplatan narednih 48 sati! new - 6. маја 2017.